Independents4Change TD Catherine Connolly is to move a motion in the Dáil calling for measures, including a review of operations at Caranua, “without delay”. Caranua, the independent State body established to distribute religious funding to survivors of institutional abuse, has been paying for office space despite having told the Public Accounts Committee (PAC) it was not. According to a letter to the PAC, seen by The Irish Times, Caranua paid more than €50,000 in the past year from a fund it manages to enhance abuse survivors’ lives, for office space. Its chief executive Mary Higgins told the committee last month none of the €110 million pledged by religious orders had so far been spent on accommodation for Caranua. “We have had rent-free accommodation from 2013 until May this year,” she said. However, in a letter dated May 10th, Seán Ó Foghlu, secretary general of the Department of Education, told the committee though Caranua had been due to leave its current Office of Public Works-managed accommodation in June 2016, the lease was extended for a year. In addition, the department said Caranua has not sought the approval of the Minister for its plan to pay almost €820,000 from the survivors’ fund for rent at a new premises, despite a requirement in the governing legislation that it do so. According to the OPW, which has sourced the new accommodation, Caranua has “agreed to pay” rent of €272,396 per year – including €9,000 a year for three parking spaces, for the next three years. The PAC, when Ms Higgins was before it last month, asked that no lease be signed for new premises until cheaper or cost-free accommodations options were explored. It remains unclear whether Caranua has signed a contract for new office space. The OPW said it was unable to source the information before close of business on Friday. The ongoing issues surrounding management of Caranua come as survivors continue to contact The Irish Times about feeling mistreated and “re-abused” in their interactions with the organisation. Independents4Change TDs Clare Daly and Catherine Connolly say they are “inundated” with complaints about the body. On Wednesday, Ms Connolly will move a motion in Dáil private members’ time on the issue, calling for measures including a review of operations at the organisation “without delay”, and negotiations between the department and the OPW to find accommodation that will not incur a cost to the survivors’ fund. It doesn't surprise me one bit what our fund is being used for, they could be using it for sunshine holidays and no one seems to give a damn - it will end up being used up for puropses other things rather than that of survivers and we the actual survivors will be left in the wind - its like the redress all over again where the only people that actually got any money was the solicitors, barristors, judges and all their entourage. 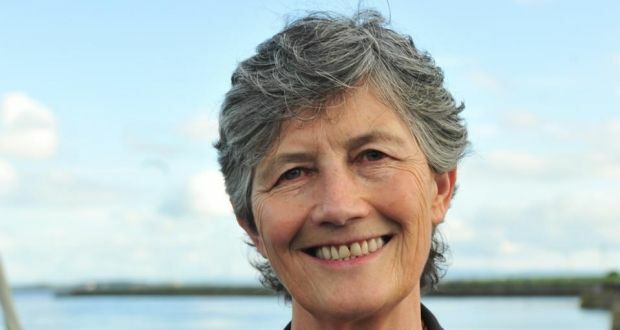 "Caranua, the independent State body established to distribute religious funding to survivors of institutional abuse, has been paying for office space despite having told the Public Accounts Committee (PAC) it was not." not the only lie told by caranua either to the PAC, luxury hotel stays, credit cards and expenses on top of already hefty wages, complaints completely ignored, survivor's refused or access limited because of making complaints. I could go on. William Gorry (51) has been so “traumatised” by recent comments from Caranua’s chief executive Mary Higgins, that he plans to get a loan and pay the funding he received from the organisation, back. Look Liar Liar Pants on Fire! A mistake in information delivery ffs you told many lies to the PAC ms Higgins. does caranua know anything about the new staff. Is anyone from the UK attending the caranua visit to the Irish Embassy on the 6th July. Don't be afraid to voice your comments they will have their come uppance.